Holy Cookie Monster- editing this thing was flippin' difficult. The initial version of this wallpaper is posted on TheOtaku, but I've finished editing a little more because I felt a few details needed to be corrected, and dude- my brain is tired. It's very erratic as a wallpaper, but there's something about the ink effect that makes me smile. This looks awesome! Excellent work. The effects on this wall look really nice^^ Awesome job! 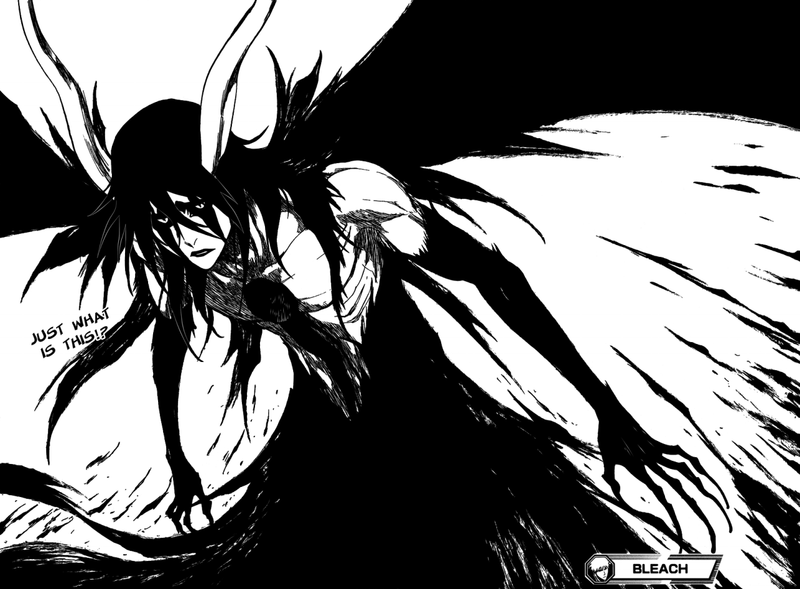 nice, Ulquiorra looks awsome~ the splatter effects fit him nicely. Whoa haha nice, sooooo abstract haha xD thanks! I like the design; just wish the image and colors were a bit cleaner. Abolutely great! Sugoooooooooooooooi! Awesome! Wonderful! EPIC! wow this is REALLY nicely done. it wouldve been nicer / crisper if you vectored it but it's still really good. awesome job! So awesome! 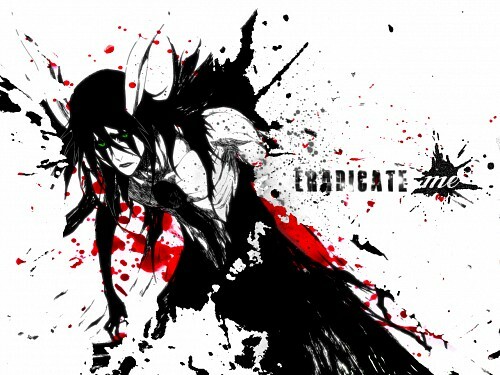 A really badass wallpaper!